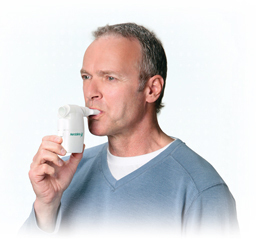 This device would work best in conjunction with salt therapy for any respiratory illnesses that affect the lungs. 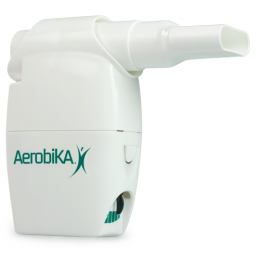 The salt aerosol helps in detaching the mucus from the respiratory walls and fluidizes the mucus, so that the Aerobika oscillating expiratory pressure will quicken the elimination process. Best indicated in chronic respiratory diseases with increased mucus production: COPD, chronic bronchitis, bronchiectasis, emphysema, cystic fibrosis and asthma. Especially indicated in cystic fibrosis (CF) – where the normal transport of sodium in the body cells is disrupted and the mucus is particularly thick, sticky and hard to detach – salt therapy in connection with any OPEP device or vibratory vest will make a big difference in clearing airways. Note: Please note that Aerobika is not accepted to be returned for refund due to hygiene reason.